Sean Longstaff's emergence at Newcastle United has come as no surprise to Gary Bowyer, who managed him at Blackpool last season. Twenty-year-old Longstaff joined the Tangerines on loan for the 2017/18 campaign and went on to score nine goals in League One. Since returning to Tyneside, the midfielder found himself regularly involved under Rafa Benítez in pre-season - netting on his first appearance against St. Patrick's - and made his competitive debut against Nottingham Forest in the Carabao Cup last month. He was also an unused substitute at Manchester City in United's last Premier League game, and while he still awaits his top-flight bow, his performance for a young Magpies side in their 3-1 Checkatrade Trophy win against Doncaster Rovers last week suggests it won't be far away. 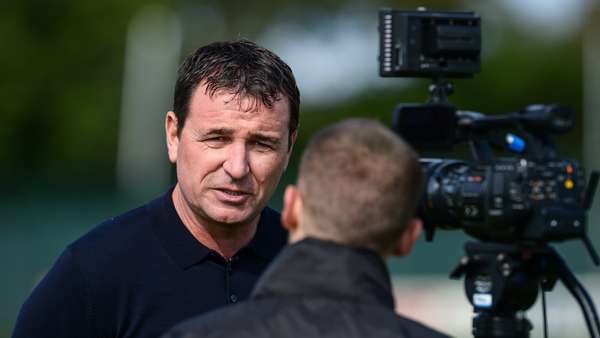 Bowyer - who guided Blackpool to promotion from League Two in 2016/17 and then to a top-half finish last term - left the Seasiders last month, and was one of a handful of coaches invited to Newcastle's training ground by Benítez last week as part of a League Managers Association (LMA) visit. And, after proudly watching Longstaff mixing with the likes of Jamaal Lascelles and Ayoze Pérez on the practise pitch, he told nufc.co.uk: "He had a fabulous year for me, for the club and obviously for himself and Newcastle. "He came in and scored some wonderful goals - you put some of them on Twitter! He's got fantastic ability and he's a fantastic lad as well. He wants to get better and that was the big thing about him; he was always looking to improve, always in the office looking at his clips for ways he could get better. "Personally, as a coach and as a manager, I'm delighted to see the progress he's made in pre-season. I was fortunate enough to be in Nottingham two weeks ago and watched him make his debut there. The last time I saw one of the players that I'd worked with make his debut was Phil Jones, at Forest ironically, so if he can go and do what Phil Jones has done then he'll be alright! "But on a serious note, he's got a lot of talent and he's got a good family behind him that really support him and push him. And working with Rafa Benítez, he's got a great opportunity to improve his game even further now. Hopefully he breaks through and becomes a regular for Newcastle." Speaking to NUFC TV this summer, Longstaff said of his loan spell under Bowyer at Bloomfield Road: "I just went there with the mindset to try and get in the team and see what happened. I didn't really set any goals - if I did, I probably wouldn't have set them as high as that in my first full season in the Football League - but I really enjoyed it. "The manager there was great with me, he had trust in me even when things weren't going as well for the team; he still put me in and luckily I benefited from it and had a pretty good season. "You go (on loan) for the ups but also to experience the low bits and how to get over them. There were experienced people in that dressing room - Jay Spearing, I probably bugged him a bit, how to get out of little slumps, or if stuff wasn't going right I asked him how he would do it. "He probably got a bit sick of me, but that's why you go, for the experience and to pick those people's brains. Luckily the people at Blackpool were great with me and I really enjoyed it." And Bowyer continued: "At Blackpool, the resources dictated who we could bring in, and we were fortunate that Sean was brought to our attention and we were able to get him on loan. "The brilliant thing for us at that time was that there was a clear pathway for him to play games, and he just grew every game and every week there. He learnt so much about himself, living away from home for the full season. His technical ability with the ball and his shooting ability were just phenomenal and to have somebody in midfield that you could rely on for goals... even at the end of the season, he was disappointed that he didn't get double figures. "If we'd said that before the start of the season, he'd have thought I was mad asking for double figures from him, but he had a great time there and he did ever so well. "He's a young lad and the most important thing for him last year was getting games under his belt and getting them on his CV. You can play under-23 games but in my opinion, there's nothing better than what he did last season for a young player. It brings them on not just from the football point of view but socially, living away from home and learning to adapt. "He's taken his chance in pre-season. He's learning and he's got a lot do to still - he knows that - but speaking to him (on Wednesday morning) he's loving it every day because he's learning and being taught the game from Rafa. "From a manager's point of view that's one of things I really enjoy - seeing the players develop and go on. I've been fortunate enough to have worked with quite a lot of younger ones who have gone on, developed themselves and progressed, and from my point of view it was a proud moment the other week watching him run out at Forest because you've played a little part in that. "But it is only a little part. Ultimately, it's down to Sean and his desire and his dedication and his professionalism to improve and get in the first team." "He came in and scored some wonderful goals. He's got fantastic ability and he's a fantastic lad as well. He was always looking to improve, always in the office looking at his clips for ways he could get better."